Decent mobo, but the positioning of CPU slot and the transistors around it limits the CPU coolers you can choose from. OC is limited to 4.3Ghz for the i7 3770k as 4.4Ghz effectively crashes your system Fan control is very limited and the Gigabyte App Center crashes the Win 10 system, effectively meaning there is no support for this mobo anymore from Gigabyte. Good thing about it is the Bios recovery which can be a life saver, especially when you play around with overclocking ( talking from experience haha ). Also it is very easy to update the Bios and the 3D display of the Bios interface makes it easier for people that are not sure of how to safely clock or change other settings. This motherboard ended up being the worst purchase I've ever made. 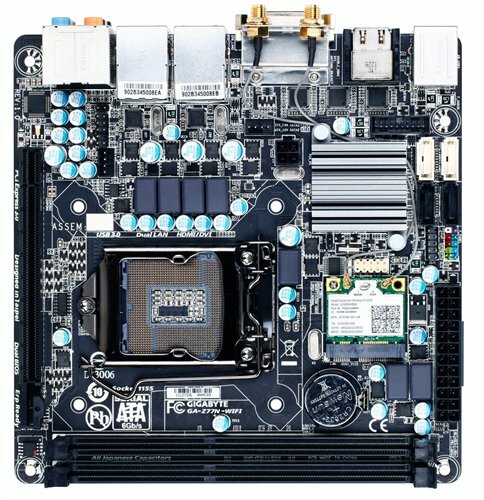 Despite being a "Z" series board which is meant for overclocking, voltages are locked on this MOBO. This means that even if you have a 2700k or 3770k processor, you are limited to changing the multiplier if you want to overclock. You cannot overvolt or undervolt on this board. Furthermore, for some reason, my 2700k would throttle on this board even at stock clocks when under load. I used the same CPU on my old ASRock full ATX board and it ran just fine without any throttling issues. Overall, I think this board is garbage and I cannot recommend it to anyone.